Every marketing professional under the sun will tell you that real estate drip campaigns are one of the most efficient, effective, and powerful ways to take your leads from cold to closed. Countless email marketing services have emerged charging real estate professionals hundreds or thousands of dollars per month to send out carefully-choreographed email drip campaigns. In fact, many of you are paying for at least one of these services right now. The truth is, it only takes a few moments to set up a free email service like SendInBlue (my favorite) and schedule it to send out the emails for you. What you are actually paying for with those expensive services is the content of the emails. From an intriguing subject line, to a rousing call-to-action, a well-written email series is a powerful weapon you need in your arsenal. 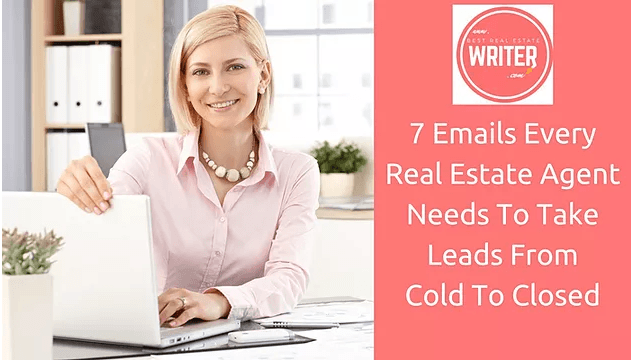 Today, I'm sharing the seven real estate drip emails every real estate marketing powerhouse uses to take leads from cold to closed. How often do you open emails from someone you don’t know? Before you begin sending emails to anyone, I urge you very strongly to have their consent. Not only will it increase your open rate, but there are very strict laws that require you to have a recipient’s permission before sending out marketing emails. 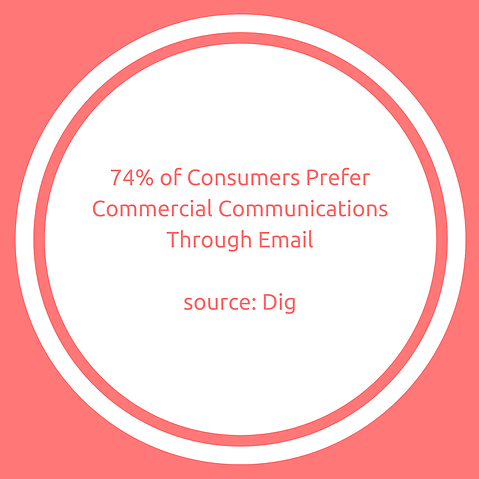 However, no matter who you send your initial email to, it will serve as the welcome mat for your email drip campaign. Why are you emailing the recipient? What value are you providing for them? Now apply each of these questions to the content of your introduction email. I noticed you signed up to receive updates from my website about properties in the 12345 zip code. I’m so glad you did that because it is by far quickest way to receive up-to-date information on listings in that area. Since my website is refreshed every hour on the hour, you always get the inside scoop when a home that fits your preferences hits the market. Over the past 9 years I have worked with buyers to help them find the perfect property that fits their needs. Buying a home is an exciting time in your life and I am here to help you navigate through the process. Below I have linked to one of my articles which will show you how to prepare to buy a home and how it is different this year over the others. Notice how the email addresses all three of the bullet points AND draws Becky Buyer back to the agent’s website? Her website is where she continues to offer value and keep Becky Buyer engaged in her property showcase while positioning herself as an expert in the local market. An introductory email should be doing all of those things. Make sure that your introductory email is automatically sent anytime someone opts into your website or landing page(s). Now that you have introduced yourself and helped the recipient to become more acquainted with you, and what value you stand to offer them, it is time to set the expectations for the remainder of the campaign. Again, doing this will help to improve your open rates, as well as, your click-through rates during the campaign. How frequently will we be in touch? What more is there to accomplish? I hope all is going well so far with your home search. As of now, you are set up to receive emails from my website when your preferred listings come on the market, but I will send along important market information as well that should help you with your search. Are there any properties in particular that you are interested in taking a private tour of at this time? If so, I would be more than happy to set that up for you! In this email, you are reminding the prospect why you are reaching out to them first and foremost so they don’t discount you as a stranger or spam. Then you close with a question to encourage them to respond, and a call-to-action in case the question doesn’t apply. This is what marketing super-genius Gary Vee calls a “jab-jab-hook”. By the way, if you aren’t familiar with Gary, you need to purchase his NY Times Best-selling book; you’re welcome in advance. I want to make it clear that the educational content email can be sent more than once, as long as you are offering diversity in the value included within the emails. The purpose of this stage of a real estate email drip campaign, is to really drive home the unique value you offer. In other words, why they should hire you over your competition. Honestly, the potential ideas in this list could go on forever, but I think you get the gist. Just be sure that the content is original, relevant to your local market, and appeals to the prospect’s goals and interests. Need help creating powerful, SEO-friendly real estate content that’s filled with action-packed value for your website? I’ve got you covered! Shoot me an email and let me know how I can help. Now we are cookin’ with peanut oil. By this point you have offered a good amount of value and started to build a relationship with your leads. But now it is time to take things to the next level and up your game even further with testimonials. The testimonial email is a stellar opportunity for you to dissolve any remaining doubts that your leads have about using you over every other agent vying for their business. This is the moment where it becomes obvious to them that you are the best possible person to help them in their transaction when they are ready; whether that be now or two years down the line. This is the moment where they start to realize they would be lucky to have you “the local expert” working with them, instead of the other way around. The fifth stage of a successful real estate email drip campaign is what I refer to as the connection point. This is the point where you get to know more about your leads and gather useful information to help you close the deal. Hopefully, you have already spoken to your lead by this point, or at least know their contact info, preferences, etc.. If not, this is the time to assess where your value proposition needs to be. There will be times when you still haven’t gotten a single iota of interaction or response from your leads at this point. That’s okay. It doesn’t mean you are dead in the water. You may be feeling frustrated, but it is essential to remain patient. Try to remember that you are approaching your prospects at a time when they are vulnerable and in a very personal way. They have every right to feel apprehensive towards you. Keep in mind, that if they have not unsubscribed from the emails at this point, then you are still making positive progress. They are keeping you around for a reason. The seventh stage of a real estate email drip campaign is what is known as the review request. This is one of the most exciting emails to send as an agent because it means you have closed the deal. This is your chance to congratulate your client on their new home and remind them of the tremendous milestone that you just helped them achieve. This is the moment where you ask them to share their perspective of the transaction and include specific details of how only you could make it possible. As always, remember that you are not done with a client just because you have closed a transaction together. The first closing is only the beginning of what will hopefully be a long-term relationship. Think of client relationships the way Weight Watchers think of diet and exercise; prospecting is a lifestyle rather than a yo-yo diet. Making it about them. Otherwise, you will defeat the purpose of the entire campaign. First, you have to earn your way into their inbox, then into their lives. 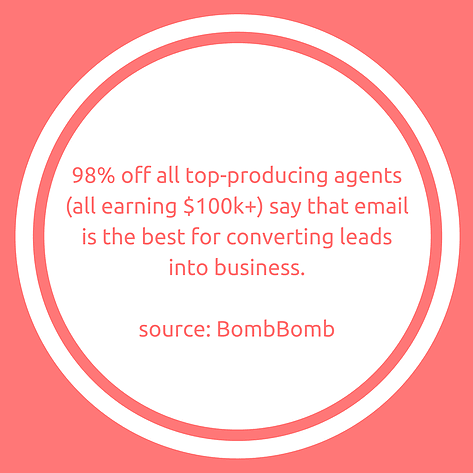 By consistently providing your leads with value, they will grow gradually warmer and perceive you as the right agent for them. Remember that they have the option to choose to work with hundreds, if not thousands, of other agents in your area. If you want them to choose you, you have to make them believe that you offer something specific to their needs that no other agent does.